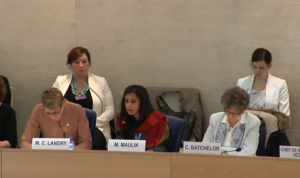 Monami Maulik of the Global Coalition on Migration was the civil society representative at a UN Human Rights Council Interactive Dialogue on the Human Rights of Migrants on 10 March, 2017 in Geneva. 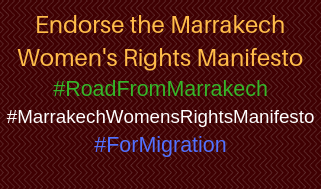 The Women in Migration Network (WIMN) is a member of the Global Coalition on Migration, and Monami also serves on the WIMN Steering Committee. The dialogue highlighted human rights priorities for the new Global Compact on Migration. Monami’s presentation is at 47 minutes of the proceedings, or Chapter 8 on the right-hand list of speakers. View video of presentation here.